As I type, Easter is a little over one month away. Thirty-three days, to put a number on it. For about two months of the year, we will devote a great number of our thoughts towards the culmination of Jesus’ earthly journey. From riding into Jerusalem on a donkey to being carried away from the disciples after his resurrection, the accounts of Jesus’ life will narrow to a short window that has defined Christianity much more than the thirty-three years prior. In Churches across the world this is held as a time of rescue from sin. This is the story we are told as children in Sunday school, in art and culture and liturgy and creeds and orthodoxy; but it’s not the whole story. In The Universal Christ, Fr. Richard Rohr widens our view of Christ and Jesus to encompass every thing there ever is and has been. This is both no small task, but also in a sense blindingly obvious. Everything comes from God. Everything has the fingerprint, the DNA of the one who created it, and the central mystery of Christ that imbues all of reality is eternally present. We have just forgotten how to see it. To describe The Universal Christ as a game changer would almost be disingenuous. The potential shifts in perspective that comes from seeing Christ present in the fullness of reality are shocking. On a personal level, there are places in this book that I may never be finished with on my own journey. Perhaps, though, that is the best way to approach this work. There is no finality presented in The Universal Christ. All of what Richard Rohr brings to the table can become a multitude of opening questions for a life-long conversation. Some books end with the last page, and some are never done. I closed the last page of The Universal Christ today, but I don’t envision the work of the book ever reaching completion - nor would I wish it to. This is, in part, why this review seems so light on examining the contents of the book. The analytical side of me finds this frustrating. That no hypothesis is presented here to the reader, that no synthesis of the data is presented for the time-bereft reader and no brief overview of The Universal Christ for the page-scanner is embedded, seems to exclude this from being called a review in near-any sense of the word. So let me say this: The Universal Christ offers the chance to know more of what we mean when we say Christ, and what Christ means as the picture of God’s love throughout reality. The book will make some readers uncomfortable. There is an adage that the more you know, the more you realise how little you knew. It is humbling. Even a little humiliating. But, what The Universal Christ offers is important for reuniting us with God’s unfolding work in the universe. It is a message of liberation for anyone spurred by harmful encounters with Christianity, and it helps us see Christ as more than those few days leading up to Easter. It shows how every thing is sacred because every thing reveals an aspect of the Universal Christ. 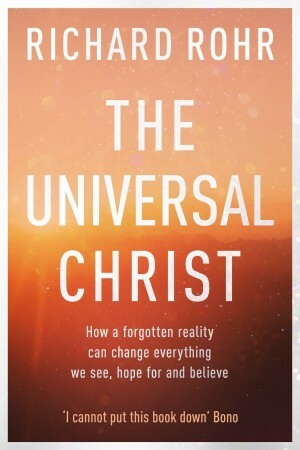 Click here to find out more about The Universal Christ by Richard Rohr.